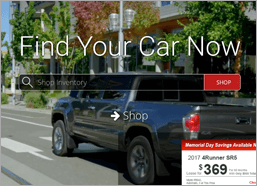 Help shoppers find their next car faster and easier. 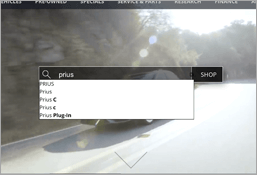 Empower shoppers to search your inventory by any criteria, including new, used, make, model, options, features, price, and more. Give shoppers a Google-like experience by always returning the most relevant results to their search query. 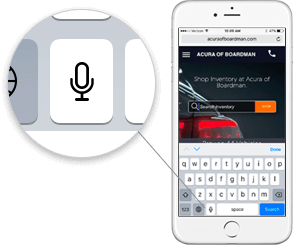 Correct for misspellings and provide shoppers with auto-fill suggestions based on actual inventory. 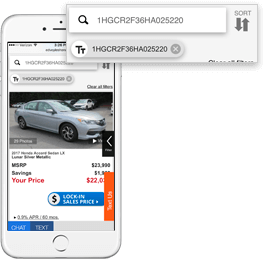 Help mobile-first car shoppers quickly search your inventory while they’re at home, on-the-go, or on a competing lot. 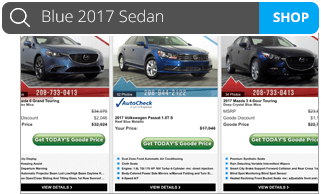 Put the power of your CX website into the hands of your sales staff by allowing them to easily search inventory while they walk the lot.